I was playing Maple Story a while back. 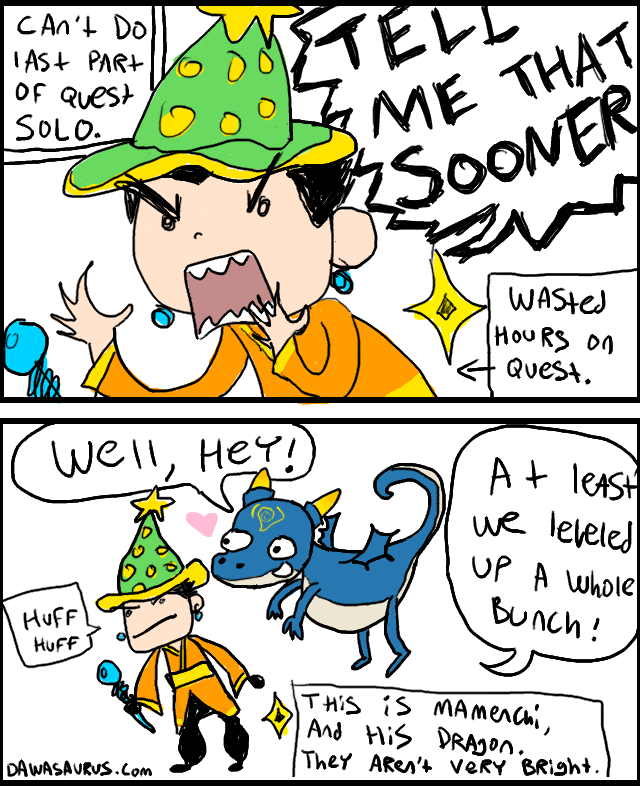 I never join parties in MMOs, preferring to go it solo. This resulted in many frustrating moments, when I was doing big, long quests, only to find out that the final battle is always locked, against friendless losers. boo.